Yamaha means performance and reliability at its best. You may think of going for a reliable and value for money keyboard and if you happen to come across a showroom the first one they are going to show you is the Yamaha, no doubt. It is not because they are having only Yamaha, but because there is such a huge quantity of Yamaha Keyboards especially in the Indian market today. You may be a beginner willing to get acquainted with keyboards and want one which is meager and less complex; Yamaha would be a brand you would consider. You may be a professional and want a new versatile keyboard to perform live and carry around for your Gigs; Yamaha would definitely be there among your number of keyboards you use daily. What is the reason behind it? The only reason behind it is the performance, the design, and the reliability which makes Yamaha one of the best in the world. The Yamaha PSR- E303 which was launched almost 10 years ago is a good example of how Yamaha tries to be present everywhere, whether it is in the beginners category, or in the mid-range category or even in the premium category. In every category Yamaha is the king. Sometimes you may argue that the premium Yamaha models are a bit expensive than normal, but then you can't complain because it brings in itself a pool of great features with each release and you have to be on your toes if you want one. Yamaha keyboards are also brilliantly designed and I would say, the best designs you will find in the keyboards. The attention to detail Yamaha puts on any keyboard is worth appreciating. The buttons, the graphics, the knobs, the colour schemes, the keys itself, the quality everything is super sparkling. I don't think there would be anyone who would hate Yamaha keyboards. 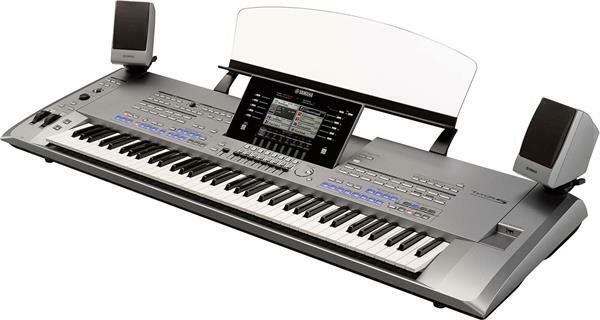 Here Yamaha brings out the Tyros 5 a premium keyboard in the Tyros line. If I were to speak more about the tyros 5 it will go on and on so in this brief review I would like to give you an overview of the new Tyros 5. Being a premium one there are a lot of features in this keys. Stunning voices, realistic sound engine, basic and more pristine styles, and an absolutely scintillating design to mesmerize your eyes. Here I would like to start with the design and build quality as I always do. Believe me this is one of the best designed Keyboards in the world. The large screen, the curvy sides, the buttons and knobs and everything here is made for a cause. I think the designers deserve more credit for this wonderful work on this keyboard. Even a layman who knows nothing about music or keyboards will not stop staring at this wonderful piece of artistic work the designers have managed to put inside this Yamaha product. The rectangular buttons really form the crux of the whole thing giving the Keyboard its peculiar and signature look. One of the features which you will not find on any keyboard is the screen; the screen can be lifted up like that of a laptop's. The only difference is laptop has to be opened whereas this has to be lifted up. This feature is really cool. The company has studded the instrument with a lot of buttons and knobs which is quite important and cannot be excluded and hence they have not found a place to place the speakers in and have provided it externally. If you look at it as an inconvenience and don't like the external design of speakers then I am afraid you don't have a choice, you have to live with that. But if you look overall at it as a design modification you may like it. I personally like this concept really because it provides the keyboard a very advanced look and feel. The silver colour looks enchanting and beautiful and any person would love it. The only grudge I hold against the keyboards' design is the multi-coloured lights which light up, when that particular button is in use. There are so many colours in the lights that sometimes it looks a bit cartoony, and that is not an exaggeration it is the real fact. Other than that it is perfectly alright with the design. I would rate it the best design and hence give 4.8 stars out of 5. The User interface is nothing but a link between the instrument and the user which has to be an easy one to really understand it and use it the way you want it to play and perform. Your Tyros 5 has a good big large LCD display which is good in terms of brightness and detail. The screen is the gateway for you to work and join hands with all that is in it. Then remains the question is it simple? For some instance yes, but the reality is that being a premium keyboard it has tons and tons of functions and features because of which understanding the user interface is not going to be an easy one. You need a very good learning spirit to get to know about the instrument and know how to use it during your performances. There are buttons to the left and right of the screen, which helps in navigating through the menus and functions easily and understand the User Interface well. The only thing Yamaha does not do here is bringing a touch screen to the Tyros 5. That is really poor from a brand like Yamaha. In this age of touch screens, a premium keyboard with a good large touch screen will do a world of good for the models. Had they romped in a touch screen, there would have been no need to really put all the buttons onto the left and right of the screen for navigation. Yamaha may have something to say about this but a Touch screen would be a welcome move and do a lot of justice to the overall fantastic design of the instrument. The User Interface lurks somewhere between good and better. It is neither good nor better, lies in between those two words. Being a premium instrument it has a lot of features, here I would like to mention a few which I think is worth mentioning. Extra-ordinarily expressive and realistic Voices. Dynamic, professional Auto Accompaniment Styles. Powerful DSP processing for enhancing the sound. 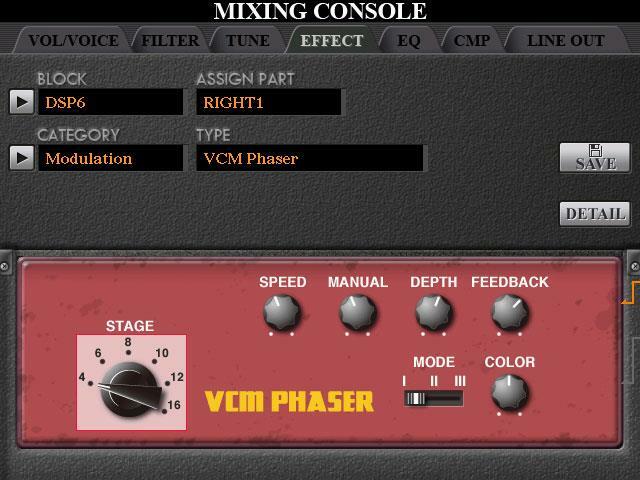 Expressive and versatile Vocal Harmony feature- with synth Vocoder. I would like to elaborate a few important features. Being one of the best keyboards ever created it has a lot of realistic and highly expressive voices which is relatively best in its own right. The different technology which is embedded in this instrument gives you the luxury of having the best sounds ever created at your disposal. The voices are authentic and help you to play with more expressiveness and more naturally. The collection of technologies like Ensemble voice, Super Articulate Voices and the special Organ world feature helps in reproducing real authentic voices. The styles on the Yamaha Tyros 5 are worth mentioning, all the styles in the keyboard with full backing band accompaniment helps you to play almost all varieties of music genres. 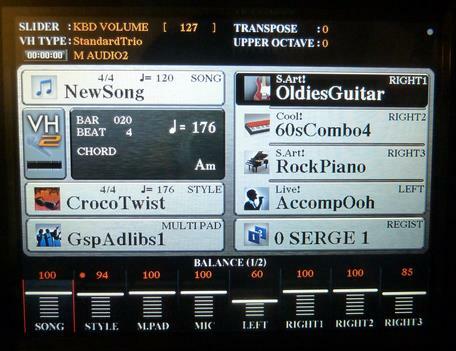 What is great is that all the styles you will find on the Yamaha Tyros 5 is the actual audio recording played by top-class studio musicians which makes it cling onto all the excitement, the ambience and retain the subtle nuances and the grooves that are difficult to reproduce using pre-set drum kits. Now I am going to mention the best thing I love about the Tyros 5 out of all the other features. Not only does the Tyros 5 have a new high quality effect types including - Real Distortion and Real Reverb, it provides beautifully designed panel displays, with highly intuitive controls - just like the actual effect devices. These also include VCM effects that use the same technology as the professional level processing on Yamaha's high-end mixers. These are some important features. I am not going to write anything more about playing experience and the performance. This premium offering from Yamaha is one of the state-of-the-art keyboards you will find on the planet right now, no doubt about it. The piano weighted keys give a very royal feel while you play. Rest all as I mentioned earlier is superb and really the best. The cutting edge technology which the keyboard uses gives it the best platform for reproducing really great authentic voices and styles. Pros: Super Articulate Voices provide authentic voices and styles, one of the best designs ever crafted, bigger screen with pop-up function, Real effects and superb realistic panel displays, easy to use User Interface. Cons: A Touch screen could have been better, no inbuilt speakers, multi coloured indicator lights a bit cartoony. Tyros 5 is a beast in performance and has very cool features. Voices are realistic and a lot of technology embedded inside gives you the best launching pad for your imagination as a musician. Wherever you go you can rely completely on the instrument for saving you the day. 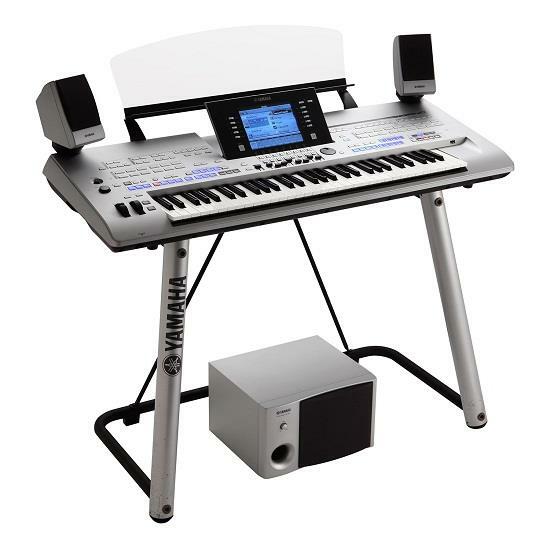 It is a great device to have as a musician and can do a lot with this workstation from Yamaha. Hope this article is useful. Keep playing. Keep enjoying. God Bless.